I’ve looked at a lot of Analytics reports over the years and the one thing I can guarantee to see every time I look at a new profile is that the top pages aren’t actually going to be the top pages at all. That is to say the pages that get the most hits are under-performing and they’re usually the ones that contribute the largest portion towards the site’s overall bounce rate. Sometimes 9 out of 10 of the pages in the (supposed) top landing pages report bounce 90-100% of the time. That’s a lot of wasted potential. Even if the initial landing page isn’t directly related to your product there’s no reason you can’t start cultivating a relationship with that possible future customer right now. The first page that a visitor hits on your site is what is considered the landing page. The user might arrive through organic search, a link on another site or even a paid method but the important thing is that the page they land on turns them into a customer. They don’t have to become a customer right away, they might just be a potential lead, but they do have to be moving through that funnel. It’s particularly important to make your landing pages perform well if your paying to get people there but even if the majority of the traffic completely free organic traffic you should still be making the most of it. For someone to go to the effort of remembering a site and coming back you have to give them a really good reason to do it. If they get exactly what they need from you then there’s a greater chance of them browsing farther through your site. 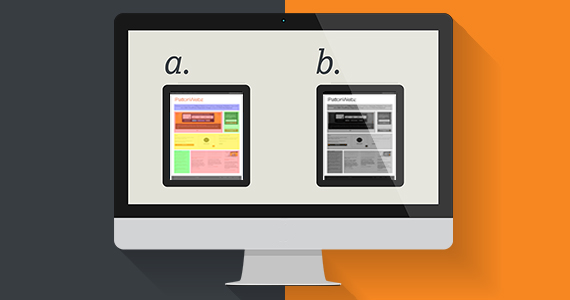 The Most Common Reason A Page Bounces – The user doesn’t know what to do next. A lot of pages simply don’t tell the user what they are supposed to do at the end of the page. It’s called a call to action and it’s often missing – or misplaced – on pages that have high bounce rates. Sometimes you know exactly what the call to action is but other times it’s harder to define. At the end of a sales page you want a user to click buy and at the end of a signup page you want them to signup. What about at the end of an information or about page? Or an average blog post? These kind of pages tend to leak traffic because they rarely have a single clear action for what the user should do next. You would be right in thinking that those kind of pages could have multiple choices of what the user should do next but the problem is: people don’t like having choice. Unless you have a clearly defined path of action for someone to follow chances are that they simply won’t follow anything. What makes the call to action so important is that it’s the trigger to get a user to do what you want. What you want them to do is entirely up to you but the point is that you have to tell them you want them to do something. Anything. The call to action that you place on a page (or throughout a page) will have the best effect if it’s tailored specifically to the content or purpose of the page it appears. That’s easy when its a sales page and the action you want it for the user to click by but it’s harder to decide a single action that for each blog post or information page you have. In those situations I suggest you come up with a catch-all action you would like users to take and use that instead. I normally see a list of related posts as the CTA block but I don’t think that works very well – and there’s performance concerns with how it makes those lists. My advice is a contact me block or a newsletter signup as the catch-all. Search Engine Optimization is no longer about getting as many people to any given site as you can – and it hasn’t been that for a long time. Now SEO is all about getting the right people to the right page at the right time and achieving the goals you set through carefully optimized content and it’s placement. I suppose it could be deemed more of a Landing Page or Conversion Rate Optimization philosophy but in my eyes they are all one and the same. Ultimately it’s about you making a sale or earning money somehow for your hard work: converting visits into goal completions is how to do that. The first thing you should do is subscribe to the PattonWebz newsletter and after that you should check out the 20+ SEO Tips I posted a while ago – the content is still relevant today. Both will help you to measurably improve your own site and reap the rewards of your hard work.